Bet365 Poker’s latest promotion is giving UK online casino players the chance to get their hands on €65,000 in free cash just by playing their favourite poker games. If you’re dealt K-Q suited, Q-J suited or J-T suited this month then you could be in with the chance of claiming a share of €17,000 each and every week! To get your hands on some free poker cash, you must complete the Daily Missions and Weekly Missions. Fortunately, they’re extremely simple. Daily Mission qualifying periods run from 00:00 GMT through 23:59 GMT each day. Once you complete a Daily Mission, you will receive a ticket to the next available €1,000 Premium Suits Freeroll. Weekly Mission qualifying periods run from 00:00 GMT on Monday through 23:59 GMT the following Sunday. In order to complete a Weekly Mission, you must complete three separate Daily Missions within one weekly qualifying period. Once you do so, you’ll receive a €10,000 Premium Suits Freeroll ticket. As a bonus, if you complete an additional Daily Mission within the qualifying period, you’ll receive a second freeroll ticket. Each week, there are eight freerolls awarding a total of €17,000. These are All-In Shootout events, so once you’ve qualified and registered you don’t even need to be sat at your computer to win! 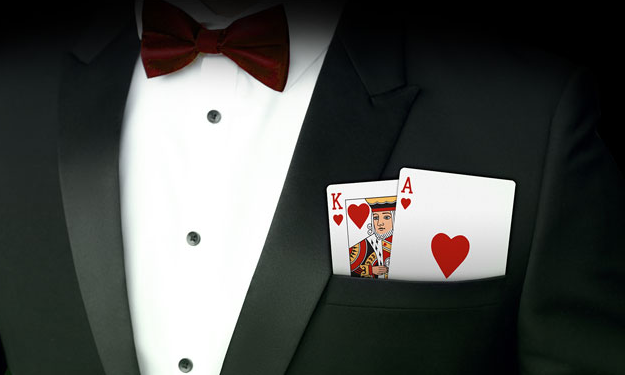 Each evening at 19:00 GMT, there is a Premium Suits Freeroll awarding €1,000 in cash. To qualify for this freeroll, you must complete a Daily Mission. There’s no limit to the number of €1,000 Premium Suits Freeroll tournaments you can play, so you can enter all seven each week if you like! Each Sunday at 20:00 GMT, there is a Premium Suits Freeroll awarding a cool €10,000. To qualify for this freeroll, you must complete a Weekly Mission. There are two Weekly Missions to complete each week, so you can enter each freeroll twice. Only hands played at No Limit Hold’em tables with stakes of €0.05/€0.10 or £0.05/£0.10 will count towards the Premium Suits promotion. Hands played at Six Plus tables and heads-up (two-handed) hands will not count towards the Premium Suits promotion.